North Atlanta Vascular Clinic Blog What Is Peripheral Arterial Disease? PAD is a condition affecting the arteries in your extermities, specifically the legs. It is restriction in the blood flow or overall circulation. It is typically due to a narrowing of the vessel by fat deposits or plaque build up called atherosclerosis. Your first symptoms may be pain or cramping in your legs while walking called claudication pain, coolness of the feet or legs, low or no pulse in the foot, or developing skin discoloration and ulceration to your toes or feet. The biggest risk factor is tobacco use. Other risks include age- anyone over 65, over 50 with diabetes; family history of PAD, Stroke, Heart Disease; obesity; and Hypertension and High Cholesterol. Stop smoking if you are a smoker, exercise on most days about 30-45 minutes is recommended, eat a healthy diet low in fats and cholesterol, if you have diabetes control your blood sugar, monitor hemoglobin A1c, and control your weight. Medical management includes healthly lifestyle choices and there are some medication options which can lower your risks with PAD. However, depending on the serevity of your condition, you may be a candidate for endovascular procedures to treat the plaque or atherosclerosis build up in the arteries to improve the blood flow and circulation. If Peripheral Arterial Disease sounds like something you or your loved one is experiencing, call to make an appointment today for diagnostic screening by our team of Vascular Surgeons, Nurse Practitioners, and Registered Vascular Ultrasound Technicians. Jennifer Rosson NP Jennifer Rosson, FNP-C is a Nurse Practitioner for North Atlanta Vascular Center and Vein Clinic. 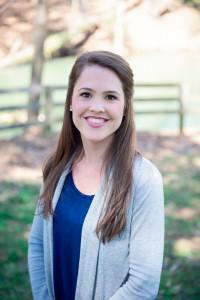 She is originally from Knoxville, TN, and received her BSN-RN from The University of Tennessee in 2012. She then began to pursue her passion for nursing and patient care in the inpatient setting; beginning her career at Fort Sanders Regional Medical Center in Knoxville, TN, then moving and settling in Atlanta working for Piedmont Hospital then Emory St. Joseph's Hospital. She has called Atlanta home now for 5 years. While working for Emory, she completed her MSN-FNP at Georgia State University, graduating in 2017. She is a Board Certified Family Nurse Practitioner and licensed in the state of Georgia. She is an active member of the American Association of Nurse Practitioners, The United Advanced Practice Registered Nurses of Georgia, and Shepherd Center Junior Committee. She works closely alongside Dr. Vivek, Dr. Matthews, and Dr. Mahajan and is a part of our growing team of providers.